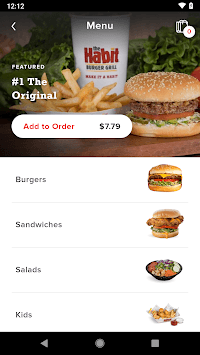 Order America’s Best Tasting Burger on the go! 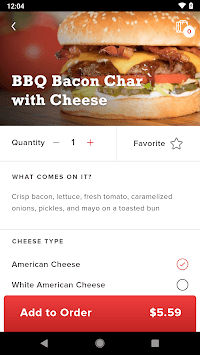 With The Habit Burger Grill app, it’s easier than ever to order your made-to-order chargrilled favorites – fast, fresh, and ready when you are. - SKIP THE LINE: order for convenient pick-up in the restaurant. We will even let you track the status of your order so you know exactly when to show up. No more waiting in line. - CUSTOMIZE: your meal to make it just the way you like it. Enjoy custom-built, quality food that is always made-to-order. 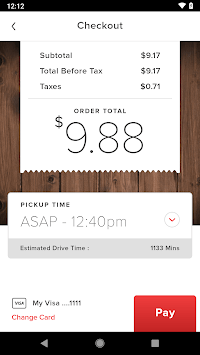 - FAVORITES: save your Habit favorites for faster and easier ordering. - JOIN: The Habit CharClub and be the first to know about new Habit items, promotions and new store events.